I must admit, I am more of a dine-in person who enjoys eating outside a lot and admires the ambiance of a restaurant. The only time we settle for delivery or takeout is when we crave for pizza or fried chicken late at night. 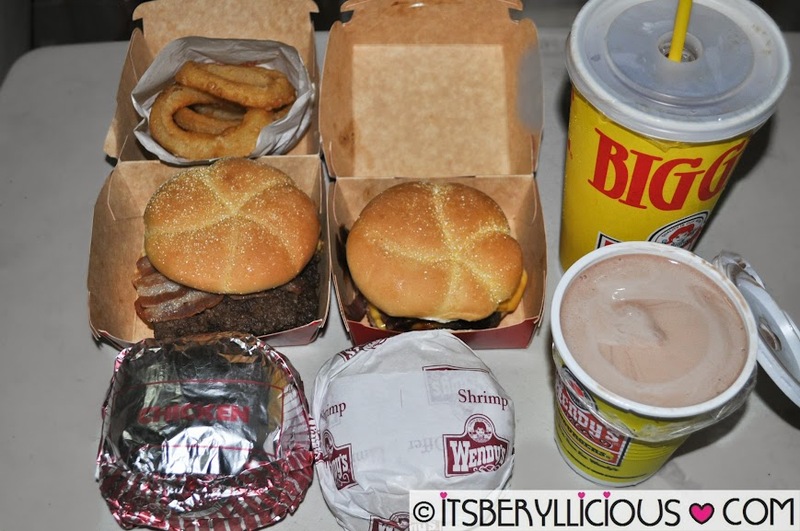 I also remember ordering in fastfood chains for delivery back when I was working in Pasig. After that, I don't recall ordering for deliveries again. Just yesterday, I got the chance to try out Foodie.ph, a new interactive delivery service for the best fast food chains and restaurants throughout the Metro. Since the weather was unpredictable lately, I decided to order our late merienda online via their website instead of having the usual takeouts. One may order online via their website, 24 hours a day, 7 days a week. They have a very low minimum order requirement of P300 with a standard 10% delivery charge. It was very easy to navigate through their website. 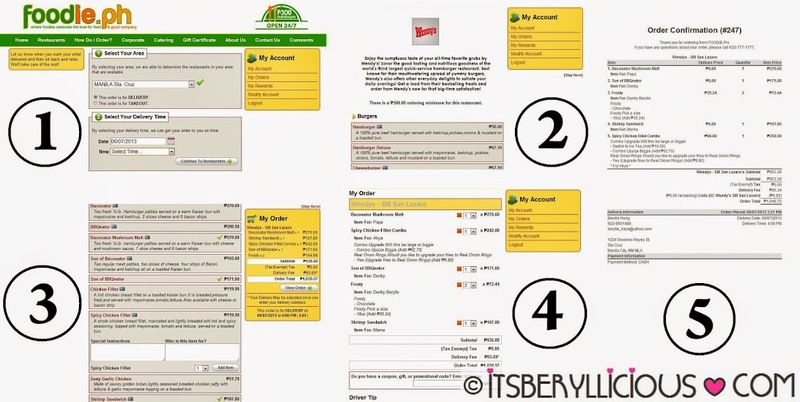 After creating your account, you must select your delivery area with your preferred delivery date and time. Select the restaurant or fast food chain from the given list and take your time browsing through their menu and selecting your orders. You could view your orders and total bill on the right side of the page to help you monitor if you are still within budget. Lastly, proceed to check-out and expect an order confirmation email from Foodie.Ph. Aside from the email confirmation, a representative from Foodie.ph will also call your number within minutes to confirm your name, address, number, orders and total order bill. Expect them to deliver right at your doorstep within 50-60 minutes. In my case, I ordered some sandwiches from Wendy's, I got my orders at exactly 60 minutes given that I made a mistake of not specifying Iced Tea on my combo meal order. The representative from Foodie.ph was kind enough to call me again and verify my order. If it wasn't for his call, I probably would have gotten a regular soda instead of my favorite Iced Tea. There's food for everyone! Dad got a Baconator Mushroom Melt (P270.60), Shrimp Sandwich (P107.80) for mom, Spicy Chicken Fillet (P170.50) for my brother, and a Son of BBQnator (P171.60) for me and D.
I enjoyed the Son of BBQnator which has 2 beef patties, 2 slices of cheese, strips of smoked bacon, and an onion ring in a sweet and hickory barbecue sauce. It was my first time to try it and it definitely won't be the last. 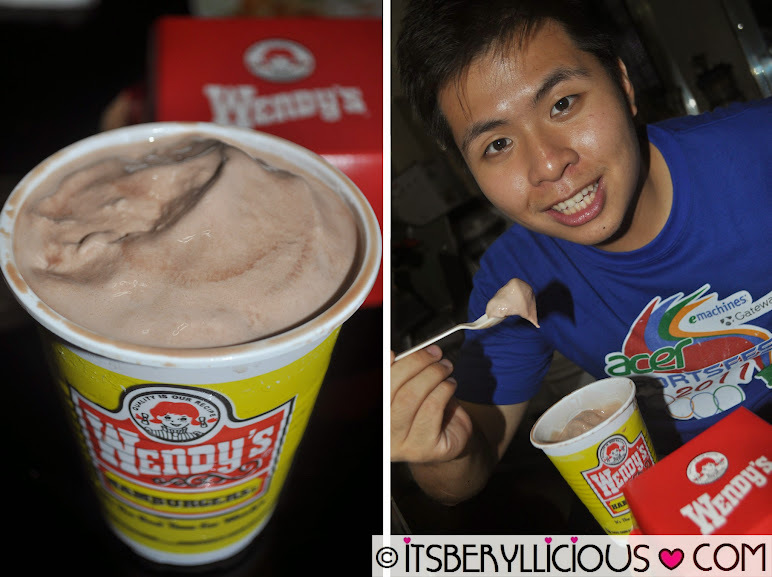 D also enjoyed his large Chocolate Frosty (P72.44) which is a must-order whenever we visit Wendy's. My overall Foodie.ph experience was pretty great starting from site navigation, account creation, ordering process, delivery, down to the quality of food. Their site was very easy to navigate with very keen attention to details like who the order is for, some special instructions, the time you want the food to be delivered etc.. Delivery time which is the most important factor for me also hit the spot. Lastly, our orders were carefully handled and were still warm when it reached our home, making us enjoy and appreciate the food more. I never thought ordering food for delivery was this smooth and easy with just a few clicks away. With Foodie.ph’s very low minimum order requirement, their service could be enjoyed by the whole family or even by just a single person craving for food. 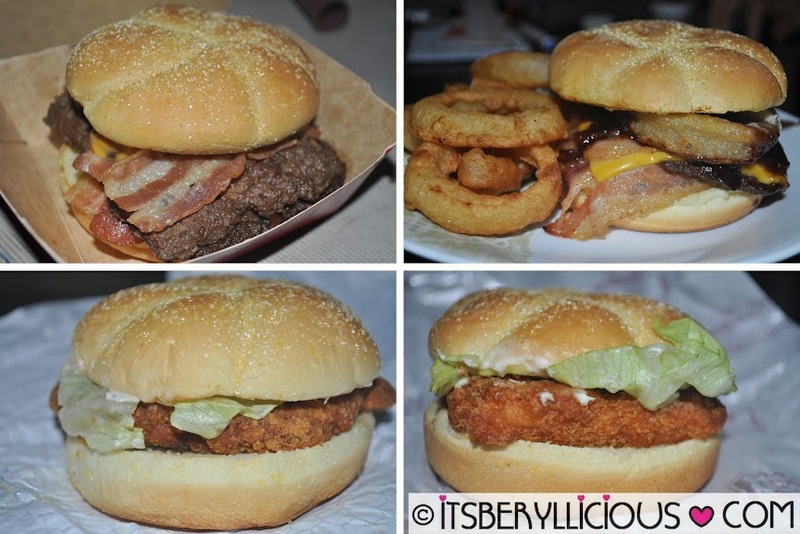 It's The Best Time For Wendy's..It's The Best Time For Foodie.PH! is superb. Users will be able to watch their streaming movies in stunning 1080p while enjoying Dolby 5. For Heroic mode encounters, it is imperative that your tank wear considerable shadow resist gear.